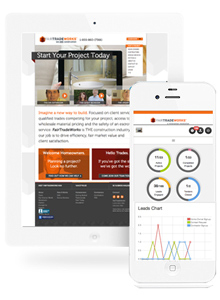 Responsive project management software specific for the construction industry. 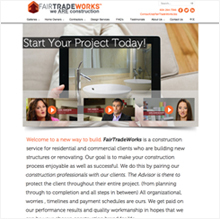 Fair Trade Works is a construction service for residential and commercial clients who are building new structures or renovating. The end goal: to make clients’ construction process more enjoyable as well successful. Fair Trade Works pairs construction professionals with clients through a middleman Advisors whose role is to protect Fair Trade Works clients throughout the entire project. Being a new venture, Fair Trade Works approached Red Cherry looking for a brand new website and world-class custom software which would document project details, time-lines and payment schedules. This software would enable clients to easily snap a photo of their current reno headache and upload it to their project portal for the Advisor and construction team to view. The software provides clients with real-time updates and allows clients to chat directly with Advisors throughout the entire process. 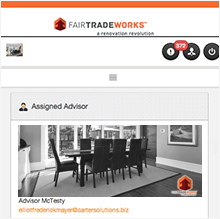 With Fair Trade Works new online presence, the company is now able to match homeowner projects to Advisors to construction teams to provide the best service, technology and secure workmanship in the construction industry. 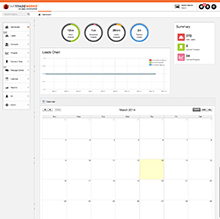 Rich dashboards, calendars and real-time messaging. Online bidding and tendering of construction projects. Responsive design renders pixel perfect on mobile, tablet and desktop. 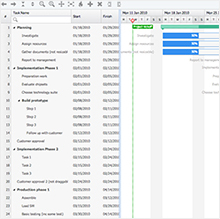 Interactive Gantt chart provides easy construction management.